Why the gagging tactics over the Kiribati Independent? WHY IS the Communications Ministry in Tarawa dragging its feet over registration for the Kiribati Independent newspaper? Five months waiting for registration and lots of confused messages in the process. Perhaps the answer is simple. Café Pacific understands the new newspaper with its Auckland-based online edition is a bit of a political embarrassment for President Anote Tong’s government. Twice the new newspaper has been ordered to stop publication since December while officials dither over the formalities under the Newspaper Registration Act. 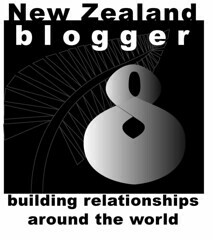 In March, the Kiribati Independent published stories featuring the reputed “richest woman in Kiribati”, New Zealander Joyce Lieven and her alleged relationship with the government. Businesswoman Joyce Lieven is daughter of the late NZ businessman Norman Lieven and reportedly a “close friend” of the ruling party and President Tong (pictured). One story focused on a donation of AUD$24,000 to Joyce Lieven’s Mauri Festival last December during the presidential campaign. Donations are normally given to not-for-profit groups but the Mauri Festival it is not an NGO, it was reportedly a Lieven business venture. In March, the Kiribati Independent reported about a 2010 government contract worth AUD$80,000 awarded to Lieven’s brother to build a copra shelter in Teraina Island in the Line and Phoenix group. The newspaper reported that “there was no copra shelter and the contract money had been used up”, said KI publisher and editor Taberannang Korauaba (pictured above with Maria Printers staff). 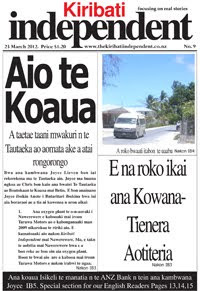 TARAWA – Sunday, 20 May 2012 – The Ministry of Communications has ordered, for the second time, Kiribati Independent (KI) newspaper to cease publication immediately. Ruatu says the publisher should have aware of the provisions in the Newspaper Registration Act that all newspaper publishers should be properly registered before making any publication. With your continual ignorance to the procedure, I regret to inform you that the Ministry still not recognise the publication and advise the publisher again to cease the publication of KI immediately and to await proper registration. “There is hidden agenda and political motive in this instruction,” he says. In December 2011, the ministry advised the publisher to wait while his application to register was processed. The lawyer acting on KI’s behalf, advised the publisher there was no need to wait for their decision. The lawyer said the publisher, editor and printer were required by law to deposit their affidavits. The newspaper can publish once these affidavits have been deposited. 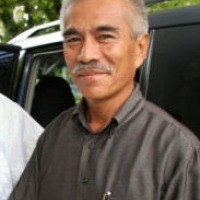 Kiribati Independent will seek the advice of its lawyer on this latest instruction. IT IS astounding how misinformed and shallow the thinking of many journalists around the Pacific has been when faced with a quickfire debate on such terms as “development journalism” and “peace journalism”. Simply because one Canadian media educator trumpeted a discredited interpretation of “development journalism” - which Westerners like to project - based around the notion of a compliant form of media partnership with governments as promoted by past political leaders of Malaysia, Indonesia and Singapore. But Café Pacific argues there are other interpretations - and the one David Robie has always supported is a form of investigative journalism that empowers citizens to make real change in their lives. One of the best known exponents of this form of journalism is Kunda Dixit, editor-in-chief of the Nepali Times and a longtime senior editor of the Inter Press Service. His ideas were expressed in his book Dateline Earth: Journalism as if the planet mattered (republished in 2010 and in a sequel, A People War, which was reviewed in Pacific Journalism Review). There are many other advocates and it was a hallmark of the independent brand of journalism of the long missed Gemini News Service - once widely used by Pacific media and now currently the target of a revival project. Another prime example of this form of development journalism was through campaigning and courageous newspapers such as the original Malaya ("Freedom") while struggling against the Marcos dictatorship in the Philippines. Such cutting edge journalism has now been carried on in contemporary times by the nonprofit Philippine Centre for Investigative Journalism (PCIJ), which has led investigations against corruption, including a famous expose of how a then presidential Anti-Crime Commission tortured two 12-year-old boys suspected of a role in a kidnapping. Some of David Robie’s concepts of “development”, “revolutionary” and “transitional” journalism - as taught for many years in the Pacific - are explained in book chapters such as his South Pacific notions of the Fourth Estate: A collision of media models, culture and values and Media and development in the Pacific: reporting the why, how and what now published in 2008. Both of these chapters explored his "Four Worlds news values" model. However, rather than using the term "development", which is generally so misunderstood and maligned in Western media discourse, "deliberative journalism" is better and far more appropriate as a concept - based on rationality, accountability, inclusion and fairness in a a strategy for media citizen empowerment. An excellent book on the topic is Angela Romano's International Journalism and Democracy: Civic Engagement Models from Around the World (2010). About “peace journalism”: this approach has gained traction in the South Pacific in the last couple of years as represented in two conferences at the University of the South Pacific in 2010, and also through research-led initiatives by former journalist advocates, such as Associate Professor Jake Lynch at the Centre for Peace and Conflict Studies at Sydney University, and political studies lecturer Dr Heather Devere of the National Centre for Peace and Conflict Studies (NCPACS) at Otago University in New Zealand. These initiatives have been parallel to a growing awareness of conflict resolution developments in the wake of the Bougainville civil war, ethnic warfare in the Solomon Islands and four coups in Fiji. Mainstream media is too heavily biased in favour of “official” sources embedded in power elites and not enough attention is given to the parallel “alternative” people's sources, leaving a fragmented understanding of issues. Spectacular failures of the "Western" media model have included the reporting of both the invasions and occupations of Iraq and Afghanistan – the destruction of nations to "save" them in the so-called “war on terror”. Other failures closer to home have been the reporting of the Bougainville conflict and the current one-sided reporting of post-coup Fiji. 1. Presenting causes of conflict and options on all sides – realistically and transparent. 2. Giving voice to all rival parties. 3. Offering creative ideas for conflict resolution, development, peacemaking and peacekeeping. 4. Exposing lies and cover-up attempts. 5. Paying attention to post-conflict development. 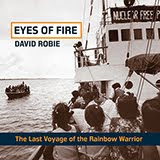 David Robie’s own ideas about peace journalism in a Pacific context are outlined in his 2011 article Conflict reporting in the South Pacific: Why peace journalism has a chance and he talked about this in a Radio Australia interview. Also, listen to his Radio New Zealand Checkpoint interview. Essentially David advocates a homegrown brand of vigorous, ethical and independent "Pacific" journalism - as demonstrated in his books The Pacific Journalist and Mekim Nius. 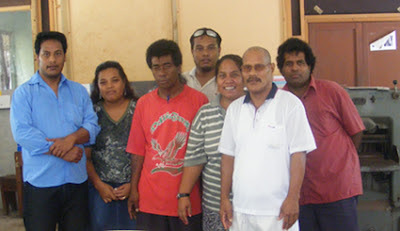 Issues such as journalism styles and methodologies will be discussed at the upcoming Media and Democracy conference hosted by the University of the South Pacific on 5-6 September 2012. Selected double blind peer-reviewed articles will be published in a special edition of Pacific Journalism Review. Brutal repression of journalists and civil rights in Indonesian-ruled West Papua, censorship and self-censorship in Fiji and abuses of a free press in Papua New Guinea and Vanuatu have been highlighted in a Pacific media freedom report being published tomorrow. The 41-page report by the Pacific Media Centre’s freedom project Pacific Media Watch is a harrowing indictment of the “fragile” state of the media in the region. Marking the UNESCO World Press Freedom Day (WPFD) - observed globally on May 3 each year - the report is also accompanied by an eight minute video about the media made by a School of Communication Studies crew at the Auckland University of Technology. “The state of Pacific media freedom remains fragile with setbacks across the region in spite of the brief glimmer of hope in Fiji with the lifting of the Public Emergency Regulations (PER) at the start of this year,” said Pacific Media Centre director Professor David Robie. “While official censorship has been lifted, the tough Fiji Media Industry Development Decree imposed by the military-backed regime is still in force and is a major chilling factor for the local – and foreign – news media. “Self-censorship is rife and suspicion plagues rival media groups eyeing a favoured place in an authoritarian mediascape. The media freedom video, reported by Pasifika student Jordan Puati and directed by AUT television journalism lecturer Danni Mulrennan, examines media freedom issues in New Zealand as well as in the Pacific. It also highlights freedom issues faced by Māori, Pasifika and ethnic journalists in comparison to the mainstream media culture. The video and media freedom report will be launched at a WPFD seminar hosted by the Pacific Media Centre and chaired by Fijian Dr Steven Ratuva of Auckland University’s Centre for Pacific Studies at AUT tomorrow night. Dr Robie said the media freedom report had been republished in book form from an article published in Pacific Journalism Review late last year. • Fiji: The lifting of the Public Emergency Regulations (PER) has ended formal censorship the draconian Fiji Media Industry Development Decree 2010 is still in place: “Many journalists and civil society advocates are still fearful of speaking out due to the harsh legal penalties that they face under the law and this will damage the democratisation process,” Dr Robie said. • Papua New Guinea: A rise in assaults and intimidation of journalists reporting on the ongoing political crisis with “two governments” since late last year, two violent incidents involving armed police. “The continued political uncertainty and climate of impunity has raised the stakes for journalists,” Dr Robie said. 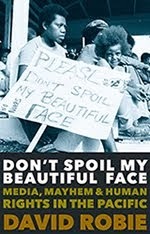 • West Papua: “In the past year, there have been two killings of journalists, five abductions or attempted abductions, 18 assaults (including repeated cases against some journalists), censorship by both the civil and military authorities and two police arrests (but no charges),” said the media freedom report. Dr Robie said: “Clearly the two provinces of West Papua are the most dangerous places for the media in the Pacific region. “While politically, the territory is regarded globally as part of Indonesia, the Papuans are Melanesian and the Pacific Islands Forum and Pacific media advocacy groups should be giving their Melanesian brothers priority support.